Normalcy has returned to Nyagasang community in Atimbo area of Calabar, after a high tension cable of Port Harcourt Electricity Distribution Company (PHEDC), fell and electrocuted seven persons at a football viewing centre. 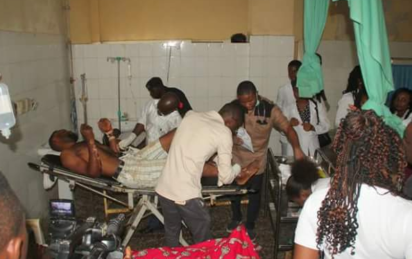 Survivors of Calabar electrocution in hospital. According to the police, about seven persons died, while 11 were hospitalised after a high tension cable fell on Thursday on the roof of the football viewing centre during a match between Manchester United and Anderlecht. A correspondent who visited the area on Sunday, reports that normal business and social activities had picked up in the area. 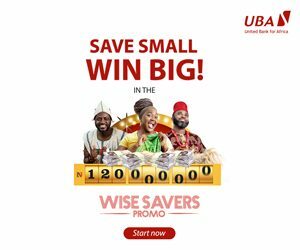 A community leader, Mr Ndabo Eno-Obong, who described the incident as a `disaster,’ said that the community was now looking unto the government, non- governmental organisation and well meaning Nigerians for assistance. “This tragic event has never happened before in this community. Watching our young ones who had gone out to express their passion for football die is very painful. “Football is a game of unity; it is one special game that takes youths off crime. What has befallen this community is a great disaster. “As you can see, we are peace loving people; normalcy has returned to the area because we asked all youths to be calm as events unfold’’, he said. Eno-Obong expressed satisfaction with the speed at which the police came to their rescue on the night of the incident, adding that the police helped in evacuating the dead bodies and taking the injured to the hospital. Secretary of Nyagasang Qua Clan, Mr Bassey Edim, disclosed that since the tragic incident, different groups from the government, PHEDC management, NGOs and others had continued to visit the site of the incident. “A day after the incident happened, we called our youths in a town hall meeting and appealed to them to be calm. “When PHEDC top management staff visited the area, we received them peacefully, because we want the right thing to be done as it concerns the dead and those hospitalised. “But, we are appealing to PHEDC to always carry out regular checks of all electrical installations in other to avoid further loss of lives and properties’’, he said. Mrs Theresa Edem, who lost her husband in the incident, appealed to the government to come to her aid, saying that raising her three children without her husband will now be difficult. 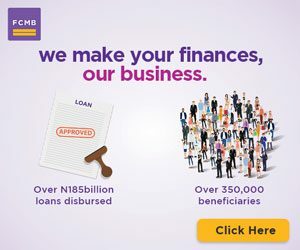 A petty trader in the area, Mrs Florence Akpan, revealed that the shock that gripped the community compelled shop owners in the area to be closing for business as early as 6p.m. “Between Friday and Saturday, we have been operating like government offices that close for work by 6p.m. “But from the look of things, normalcy has returned to the area and this means that we can now start closing our shops by 9.30 p.m. to 10 p.m. daily which is our normal time’’, she said. The area has since been temporarily disconnected from electricity supply, while the high tension cable that caused the havoc is still on the roof of the viewing centre. The post Calabar electrocution: Normalcy returns to affected community appeared first on Vanguard News.